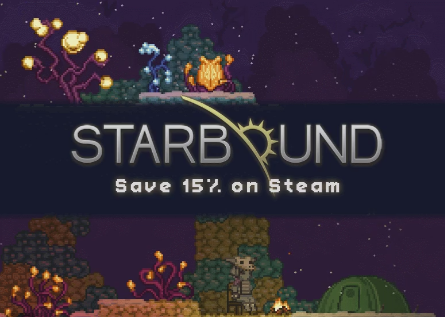 In other news, Starbound is 15% off on Steam for the next 48 hours! 10th of April – Behold! A Blogpost! Hey there, happy end of the week! I’ve been working on some assets and layouts for the next mission, which I’ll hopefully be able to show a bit of when it’s a bit more complete. GeorgeV, Supernorn and Necotho have been continuing work on the NPC characters that you’ve all been seeing us develop for the past few weeks. Kyren, Metadept and the programmers are working on an update to the Unstable branch, which is set to be released tonight. Those playing on the Unstable branch can look forward to that! I hope you all have a good weekend. Until next time! 23 January 2015 – A busy week! I noticed we haven’t updated on the main page in a few days, sorry about that! we’ve just been really busy this week working on a whole bunch of things. This week we continued to work on the microdungeons, collectively we’ve created over 150! Armagon is very close to finishing implementing them all into the game. With microdungeons finished up, I moved onto some more parallax environment art. 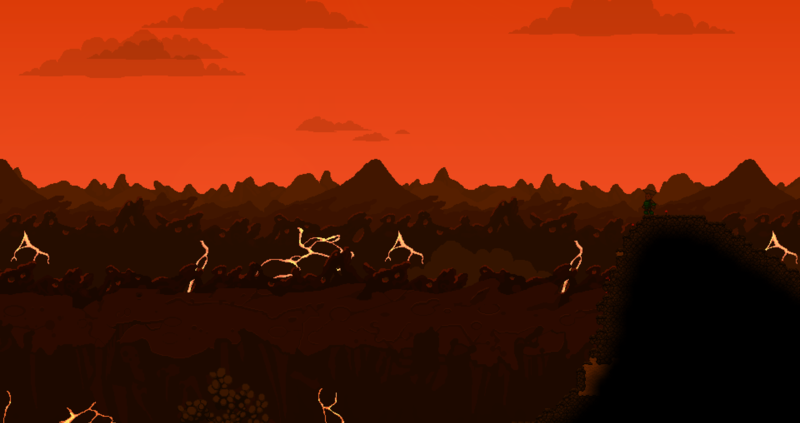 I’ve replaced the existing volcanic parallax with something a little more detailed. Let me know what you think! 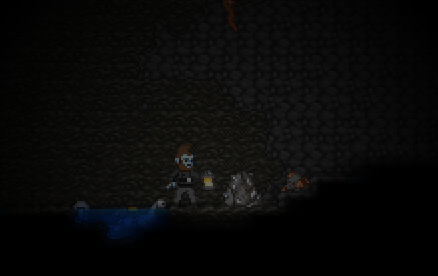 Another new thing you’ll find while digging underground, smashable rocks, containing various different ores! While the coders have been fixing bugs and other issues, Kyren has been working hard on some more optimisation fixes. We’re getting very very close to releasing a build to stable, give us your feedback in https://playstarbound.com/nightly-feedback/ – We’ll be hanging out there during work hours!